They might not consume as much of your time this Fall as Assassin's Creed IV: Black Flag or Battlefield 4, but these music games, released a few weeks back on Steam, are well worth your time all the same. 140 has two things in common with Limbo: Stark, vivid visuals and the deft hand of gameplay designer Jeppe Carlsen (not Carly Rae Jepsen). This simple, fun platformer is named after the beats per second of the background music that informs every aspect of the game. 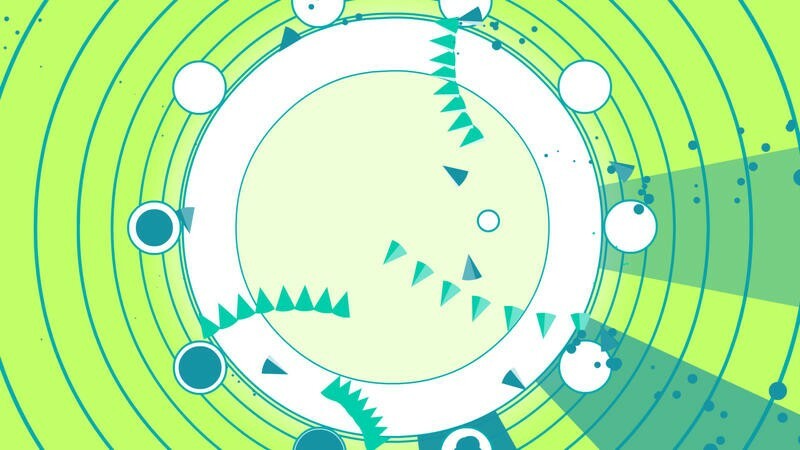 Not unlike last year's Sound Shapes, the whole game moves in sync with the music; the only thing missing is controller vibration to complete the sensory experience. Clever use of beat-operated platforms has you jumping back and forth in carefully timed movements, crossing chasms and avoiding the one obstacle, static. It's a pretty short game, but it's pretty cheap, too, selling on Steam for $4.99 on both Mac and PC. Check out the TechnoBuffalo Plays video we posted of it for a more in-depth look. It shouldn't be a surprise anymore to see the Adult Swim badge on awesome games. Just this year, Adult Swim Games has brought us Super House of Dead Ninjas, Super Puzzle Platformer Deluxe, Fist Puncher and Volgarr the Viking. The latest to hit Steam is Soundodger+. The mechanic is even simpler than the aforementioned 140 – Dodge the spikes and orbs, the visual manifestation of sound, as they fire inward to the beat of the music. There's a bit more variety to the music in Soundodger+; artists like Disasterpeace (Fez) and Austin Wintory (Journey) are featured among others with both orchestral and electronic music, ranging from 8-bit to dubstep. Even if dubstep isn't your thing, it's worth it just to see what the spikes do when the song hits the drop. If you're not ready to drop $7.99 for the 23 tracks the game features, there's even a free version available on the Adult Swim Games website with roughly half the tracks. Unfortunately for Mac users, Soundodger+ is only available on PC currently. I'm also pretty sure that if your computer can handle the Steam client, it can also handle these games, so don't let an older system stop you from checking them out.